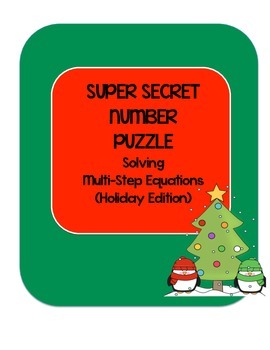 This puzzle contains 8 problems which students can use to practice solving equations. Students needs to be able to use the distributive property to solve these equations. After solving all 8 of the problems, students add up their solutions. 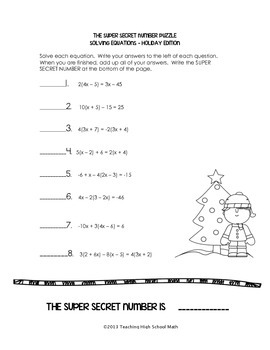 These solutions should add up to the "super secret number", which will be provided by the teacher at the end of the activity. If you like this puzzle, try my packet of Super Secret Number Puzzles! Super Secret Number - Algebra Edition Package. Check out everything it includes!